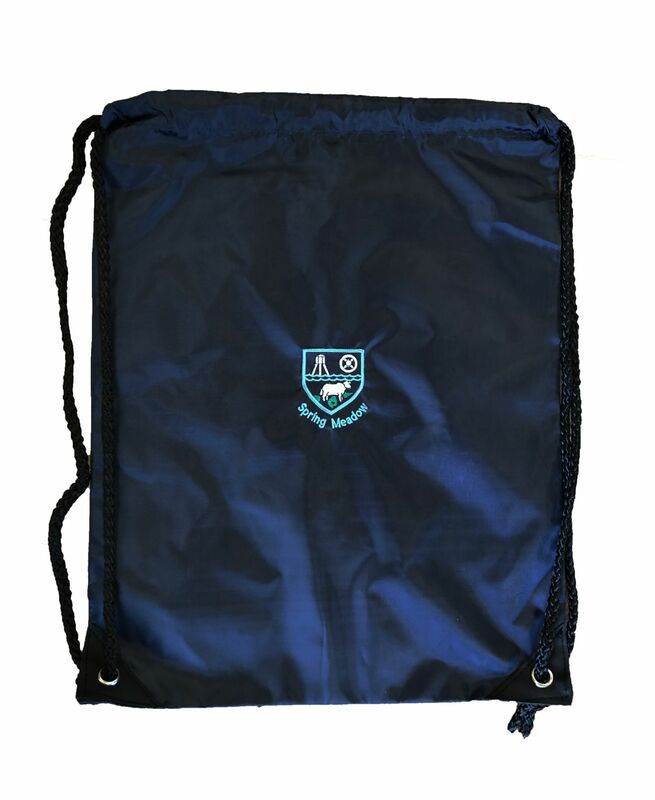 Drawstring bag with embroidered school logo. Water resistant. Self coloured drawstring cords. Reinforced with metal eyelets.